Press Release: August 7, 2018 (Originally released August 6, 2018) by Dragon Fire Boxing – Billel Baby Face” Dib (21-3) returns this Saturday in the Main Event of the Boxing Mania 3 Event at the famed Seagulls Club in NSW. This is the rematch of the hotly disputed March 24th WBA Oceania Super Featherweight Title contest. Champion Bruno “The Beast” Vifuaviwilli has vowed to return home to Tanzania with his WBA Oceania Super Featherweight title. 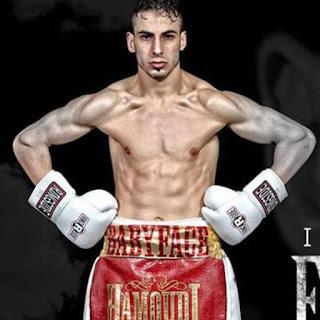 Dib has moved camps since his disputed loss and is now under the tutelage of Angelo Hyder, current trainer of IBF World Bantamweight Title Challenger Jason “The Smooth One” Moloney & Twin Brother IBF #3, WBC #4, WBA #6 WBO #9 Andrew “The Monster” Moloney. “I haven’t had such a good training camp like this camp in a while. Camp was perfect, we had a perfect structure and program and I feel great. Angelo is an experienced coach and knows exactly what he’s doing; it’s been a pleasure working with him. I’ve done a lot of rounds with the Maloney twins for this prep, world class sparring which is great. What do you know about your opponent? I know that he’s not on my level, not even close. This time I will completely dominate God willing. He’s tough and that’s about it. The first fight If it was ever competitive, it was because of my My laziness and some bad habits I picked up. This camp we worked on getting rid of those bad habits and going back to the old Billel. It’s an honour and a blessing to fight for WBA Oceania Championship. The WBA is a very respected organisation so I’m proud to be fighting for a WBA title. WBA World #15 Light Heavyweight Reagan “The President” Dessaix (14-1) returns this Saturday in the Co Main Event of the Boxing Mania 3 Event at the famed Seagulls Club in NSW. Boxing Mania 3 takes place on Saturday, August 11th at the Seagulls Club in New South Wales Australia. The card can be seen in Australia on Fox Sports Australia and will be streamed on www.epicentre.tv and www.Fite.tv beginning at 3:30AM U.S. EST.